At Vidpulse, we believe in helping our clients deliver a smooth user experience that is rich and transformative. 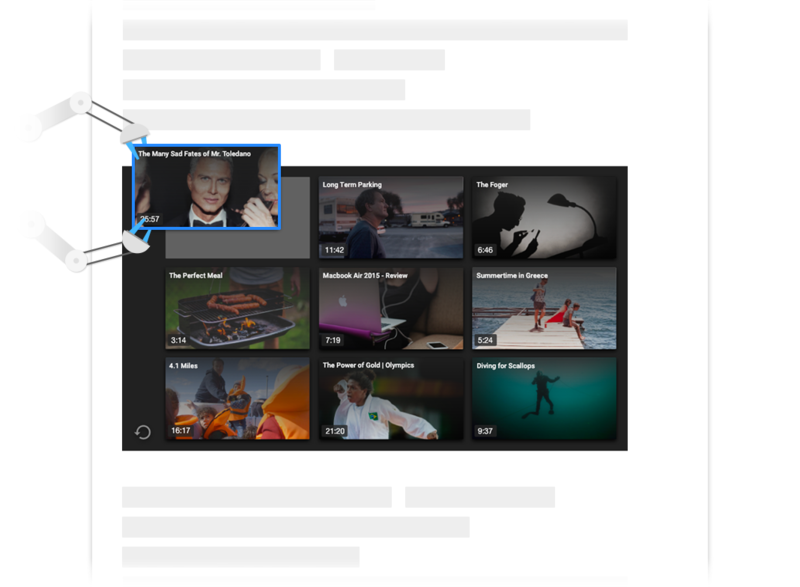 Vidpulse integrates its content recommendations naturally in the user’s journey via endscreens that work on every player, and offers options for user-defined and automated recommendations. 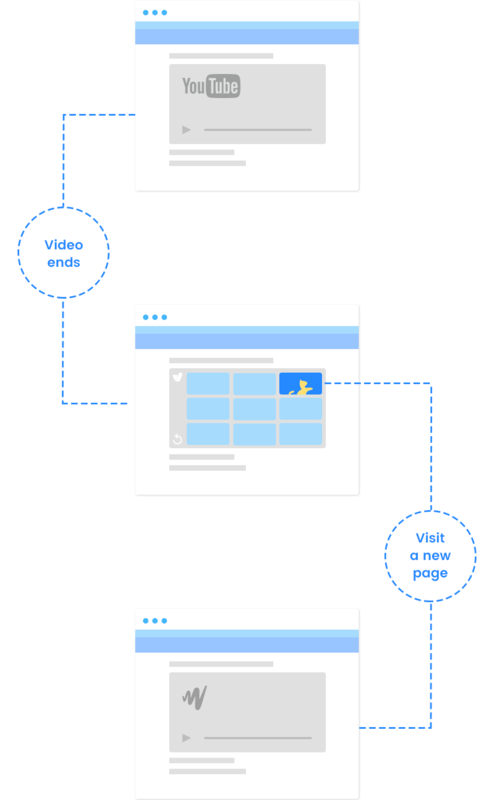 Recommendation endscreens are perfect opportunities to introduce your users to content you want them to visit. 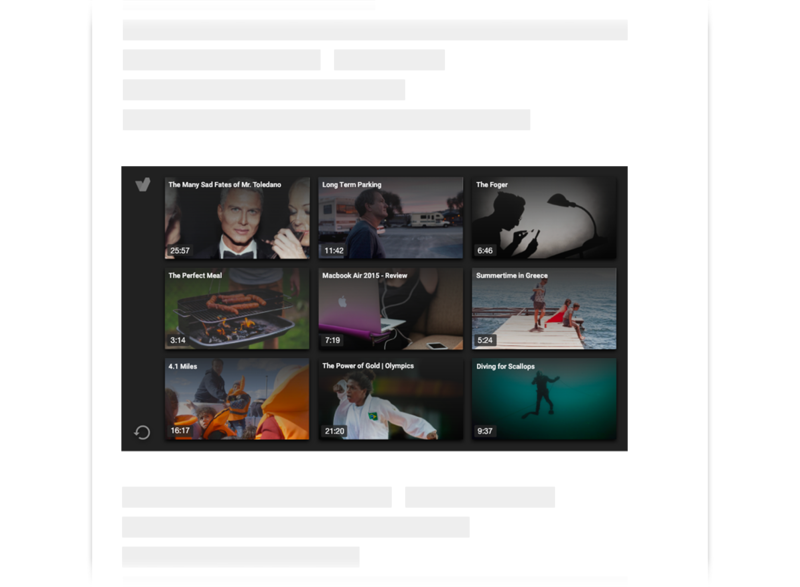 You can promote your latest trending videos, lead them to a new section of your site or promote the best of your branded content. With Vidpulse’s pinned recommendations, the choice really is yours. While you want your users to see content that is relevant and exciting to them, you don’t have time to manually pick suggestions for every one of your online videos. This is why we’ve put Vidpulse’s machine learning algorithms hard at work, so that your users receive suggestions that are reliable, make sense and keep them engaged with both your content and your brand.